Once upon a time, there was a princess who grew weary of royal life, servants waiting on her every whim, and so many expectations to live up to. One day, she decided to leave it all behind. 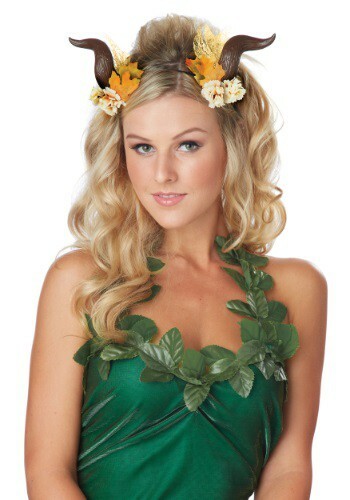 So, she wandered into an enchanted forest to live among the trees and woodland creatures. She encountered a group of ancient fairies, who gave her a pair of mystical horns in exchange for her crown. Now, the princess spends her days in the dells and meadows, dancing with the other sprites, elves, and woodland critters, and she has never been happier! You may not be looking to trade in your current life for a life of magic, but you can still look like it with these Woodland Fairy Horns. 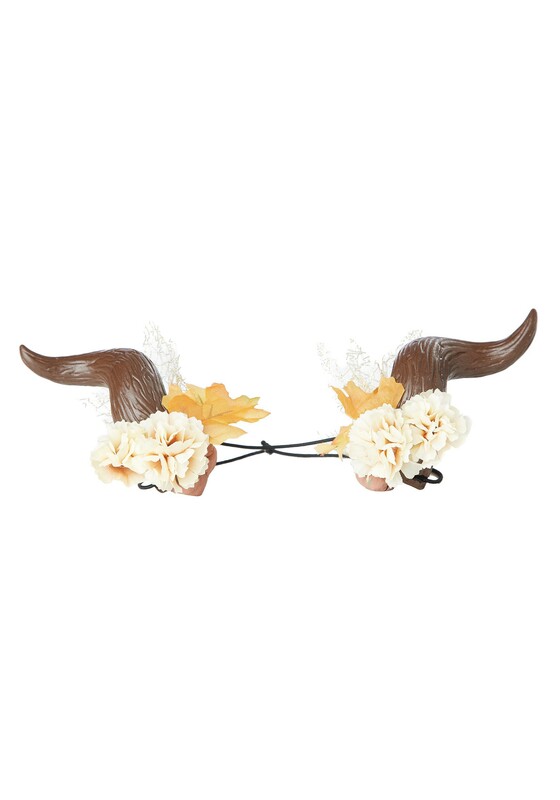 These whimsical horns fit on your head with a threaded elastic cord, and have fabric flower accents at their bases. These make a great accessory for a wood nymph or fairy costume, or for anytime you want to show off your deep connection with Mother Nature!